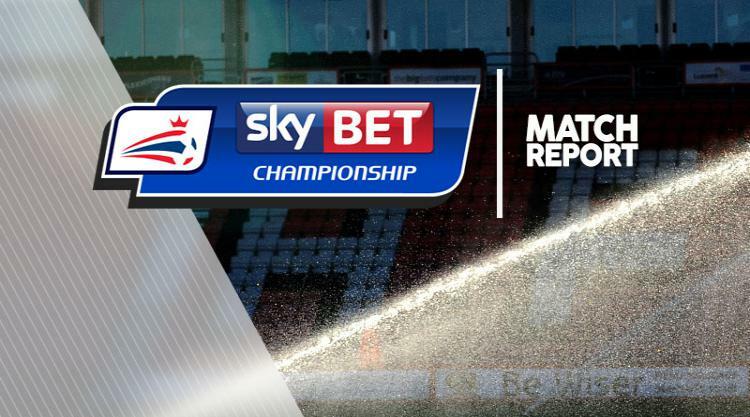 A deflected goal from Ross Wallace just before the interval sent Sheffield Wednesday into the play-off places thanks to a slender 1-0 Sky Bet Championship win at Wigan. There had been nothing in the game for 43 minutes, before Wallace's close-range effort took a wicked touch off defender Jake Buxton to deceive goalkeeper Jakob Haugaard. Wigan edged a similarly tight second period, but did not really do enough in the final third to test Keiren Westwood in the Wednesday goal. Their best chance came at the three-quarter mark, but new boy James Weir - on loan from Hull - could not hit the target with a free header from 12 yards. The result sees Wigan remain third-bottom of the Championship, ahead of the Saturday programme. It had taken until the half-hour mark for Wigan to engineer the first chance of the night, a long-range shot from Sam Morsy that was straight at Keiren Westwood. Wednesday's maiden sight of goal, shortly after, saw Adam Reach fire just wide of the post from a good position. Although the ball looked as though it had gone straight behind, the official gave a corner, which was comfortably cleared by the Wigan defence. But with the half-time whistle imminent, it was the visitors who managed to muster the breakthrough. The ball was played into Wallace, whose shot across goal looped off the unfortunate Buxton and wrong-footed Haugaard in the Wigan goal. Wigan had no time to respond before the interval, but they came out the stronger at the beginning of the second half. Morsy wriggled his way through within four minutes of the restart, only to see his shot smothered by Westwood. The visitors then threw on former Wigan winger Callum McManaman - the man of the match in the 2013 FA Cup final - after Wallace sustained a worrying-looking injury. But still Wigan pushed, and a lively run from Michael Jacobs was only halted by a cynical foul from Jack Hunt, who was awarded the first yellow of the game. As the game ticked into the final half an hour, Max Power's cross was headed straight at Westwood by Dan Burn, who then volleyed over from an even better opportunity after Wednesday failed to clear a corner. Wigan boss Warren Joyce tried to change things midway through the second half with new-boys James Weir and Omar Bogle taking over from David Perkins and Will Grigg. And the former almost made an immediate impression, narrowly failing to latch on to a through ball from Jacobs that was a couple of yards too strong. Nice work from McManaman at the other end led to Reach firing well over the top. But Wigan continued to look the team most likely to score the next goal, with quick feet from right-back Callum Connolly allowing him to round the goalkeeper and find the net - only for a very borderline offside flag to halt the celebrations. The hosts created and squandered a gilt-edged opportunity with 15 minutes to go, when Jacobs crossed and Weir planted a free header from the penalty spot over the top, when he had to hit the target. And the visitors successful managed to negotiate the rest of the game, including six added minutes, to crank up the pressure on their promotion rivals.